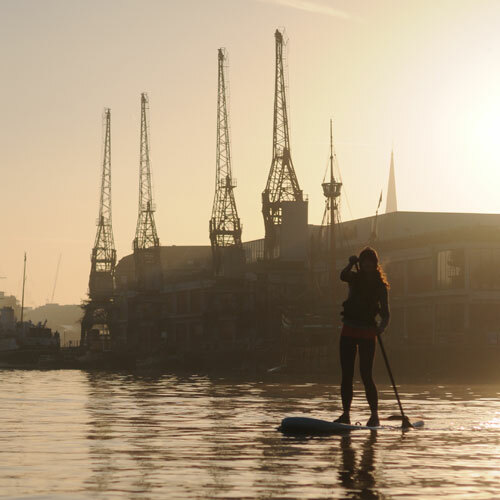 Once you’ve done your intro session, join us on the water every week until October with free SUP Bristol membership. You’ll need to join here for free before you can purchase our PAYG Members SUP sessions or plans. By joining you are confirming you’ve previously taken part in: A SUP Bristol intro session (taster session, harbourside adventure or group booking). This is so we know you are confident both on a paddleboard and paddling in Bristol’s busy Floating Harbour. For this reason we cannot accept other schools’ courses, certification and other previous experience. Anyone arriving at a members session without SUP Bristol experience will be refused access and fees cannot be refunded.